How will this decision affect children? 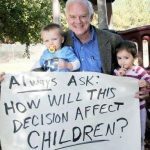 The most important question we ask ourselves everyday is “How will this decision affect children?” But we are sure you have lots more. Hopefully we’ve provided the answers below. If you have other questions that aren’t answered, please let us know by e-mailing info@fc-cis.org so we may add the answers for other interested visitors. Why does FC-CIS have two names and two logos? To thrive, children need support in their early years as well as once they get into the classroom. We use a multi-faceted approach aligning with two separate entities to identify and meet various needs in the home and the classroom. Family Connection encompasses our Neighborhood Leader program and facilitates cross-system collaboration to address the issues facing children and families in the community. Communities In Schools supports the work of our Site Coordinators who work with students INSIDE schools in the Clarke County School district. The work of both FC and CIS contribute to the collaboration piece, which is an integral part of the organization. What challenges do many kids in Athens-Clarke County face? Athens-Clarke County is known for its high poverty rate. In fact, per the Census Bureau, ACC has the highest poverty rate of any metropolitan county in the US. This means many children do not have the basic resources or support needed to thrive. Children may not enjoy the stability of fulltime residence; have adequate sleep, food to eat, or clothes to wear. Parents who are distracted due to stress over shelter, bills, or varied work schedules may also impact them. Children may also experience conflicts within the home or, in some cases, may find themselves charged with the substantial responsibility of taking care of siblings. These are all “adult” issues that can have a profoundly negative impact on a child’s development. Also, in the years following birth, issues at home or parents who aren’t properly aware of the impacts of early learning, can mean the foundations for learning weren’t properly laid. When this happens, we must provide children with extra attention and encouragement to help them fully succeed in a classroom environment. That is where the people of Family Connection – Communities In Schools of Athens make the difference. What is special about Neighborhood Leaders and Site Coordinators? Neighborhood Leaders live in the areas they serve, understand the needs of the local community, build lasting relationships with families and are trained to help parents lay foundations that will serve the child well as he/she begins school. The work of Neighborhood Leaders may involve helping parents navigate home computers; or provide education on nutrition, healthcare and childcare. They may also use their personal knowledge of the student and their vast network to connect families with outside resources based on individual needs. Site Coordinators are funded by FC-CIS and work independently inside the Clarke County School System to identify “at risk” students, build relationships with them, and work with counselors and educators to develop plans and hold the students accountable. This one-on-one, individual support starts with referrals from counselors, teachers, and resource officers and develops as Site Coordinators look at grades, attendance and behaviors and define obstacles that may hinder a student from graduating. Why is the Collaborative Community Work of FC-CIS so important? This collaboration has brought together the entire community – business, university, schools, human services, Neighborhood Leaders, and others – to create educational field trips or major initiatives like the creation of the Early Head Start program, Healthy Families, the Early Learning Center, teen pregnancy prevention task force, and Classic City High School. How is FC-CIS different from other organizations? When it comes to serving communities, FC-CIS does not just operate from an office. We are in the field, interacting with kids, students and families, building vital relationships and serving their needs on a day-to-day basis. Our Neighborhood Leaders are embedded in the areas they serve. They live in the neighborhoods, their children go to area schools, and they work individually with people in their own communities to identify needs relevant to specific areas. Our Site Coordinators work inside the schools but are not CCSD employees. FC-CIS funds the positions and the Site Coordinators work with counselors and educators to find resolutions to the various challenges of students- whether it involves a need for academic help or involves other issues such as lack of food, clothing, or personal hygiene items. If a student is having trouble at home, conflicts with another student or needs support elsewhere, Site Coordinators use their connections to find resources that will offer students the support they need. Do the Neighborhood Leaders and Site Coordinators make a difference? By offering individual attention to kids and families from birth to graduation, we have seen a number of positive results. Why is this work important for our community? Along with the human factor of working as a community to serve an “at risk” child and giving him/her the support and tools needed to graduate and go on to live a happier, more productive life- there is true value in this work when it comes to bettering our communities.